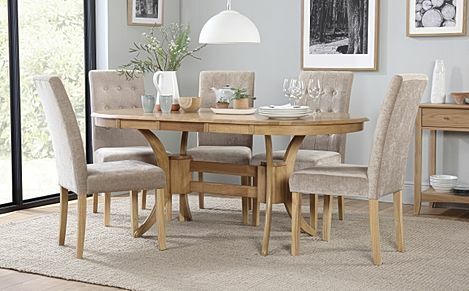 An elegant, sturdy classic, our Townhouse is built for gathering around. 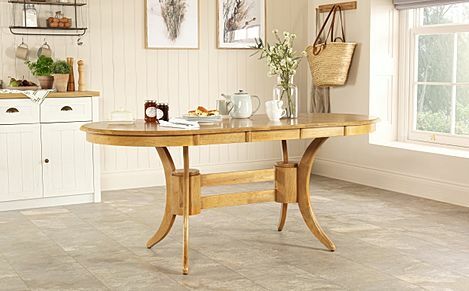 The classic oval table top is excellent for family dinners, and when expecting more company, it extends easily. 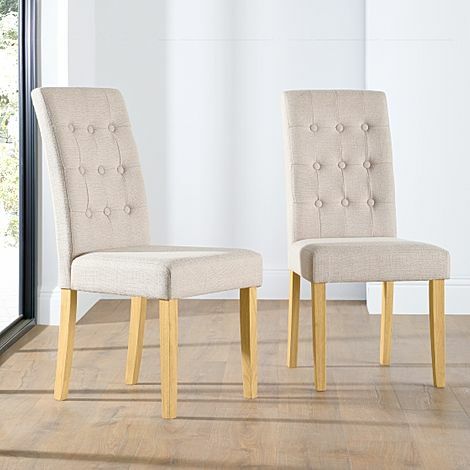 Instil classic flair by pairing it with our Regent chairs. The soft, comfortable seat and traditional button back design add vintage charm to complete a well-balanced set. We do not deliver to Scottish Islands, Northern Ireland, Scilly Isles, Channel Islands, Isle of Man, Eire and BFPO addresses. FREE RETURNS – 14-day, no quibble, money-back guarantee on all products. *PLEASE NOTE – Guaranteed Christmas delivery is subject to the item being in stock and you may be required to accept the first delivery date offered. For some remote or rural areas, if Pre-Christmas delivery is essential, we recommend that you check availability, or call us, before placing your order. Whilst we always work hard to keep our delivery promises, occasionally delays can occur which are outside of our control and FC will not be liable for any late or missed deliveries. We will deliver to your door between 7am and 7pm. Unfortunately we cannot give you a more specific time slot and the driver cannot call you before they arrive. What if I am out? Can I change or cancel my delivery date? Can you dispose of my old furniture? No, however you can use our Recycle or Donate tool to find your local recycling centre or charity collection. Select from the finance options available. Continue to pay and complete the Klarna application form. You will receive an immediate answer and, if succesful Klarna will take your deposit. PLEASE NOTE - If you require delivery in time for Christmas and are paying by finance, the items must be in stock and you must complete the finance application, and pay your deposit, by Friday 15th December. Your email has been registered. © 2005-2019 Furniture Choice Ltd, Unit 22 Bankfield Business Park, Huddersfield Road, Mirfield, WF14 9DQ | Free Phone: 0800 035 0070 | Local Phone: 01924 491 659 | Email: info@furniturechoice.co.uk | Company No. 05349107 | Vat No. 867 0996 68 | 'Furniture Choice' and the 'FC' logo are Trademarks and protected by UK law. © 2019 Furniture Choice. All Rights Reserved. Sitemap.